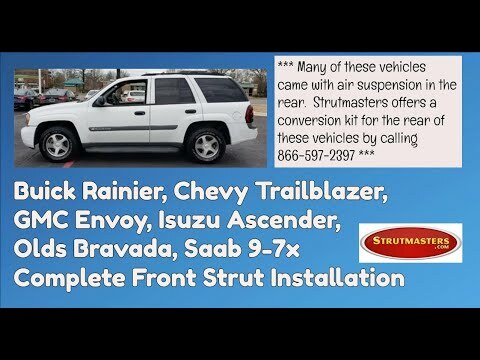 Strutmasters 2002-2006 GMC Envoy XL & XUV Heavy Duty 4 Wheel Air Suspension Conversion Kit With Shocks is the perfect solution to your¬†air suspension problems. Designed to be very affordable, you can convert your Air suspension to use standard shocks/struts for¬†the price of one air shock. Fits XL and XUV Models Only! 2002-2006 GMC Envoy XL And XUV 4 Wheel HD Suspension Conversion Kit (GB14B2) is the perfect solution to your air suspension problems. Designed to be very affordable, you can convert your air suspension to use standard. The air to non-air suspension conversion kit for your GMC Envoy XL & XUV includes two pre-assembled complete front struts with Eibach springs and two rear Eibach springs. This is the only kit on the market that includes high-quality Eibach brand springs. Our customers tell us they made the ‚Äúchange over‚Äù from air suspension to our non-air suspension conversion kit because the price is so low. We designed the kit to be an affordable direct replacement alternative that eliminates your faulty air ride for good. Forget about the original complicated electrical components. We created the kit with our DIYers in mind- never get your suspension repair at the dealership again! 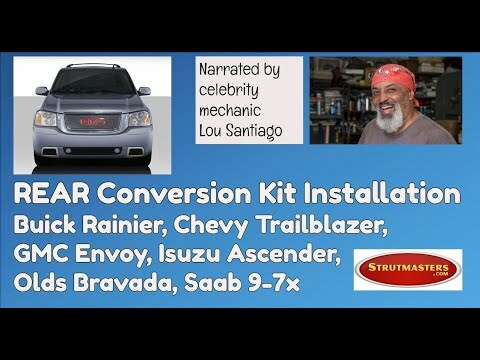 Saving you time, frustration, and money, the air to non-air suspension conversion kit is the smart choice when your air suspension on the GMC Envoy XL goes bad. 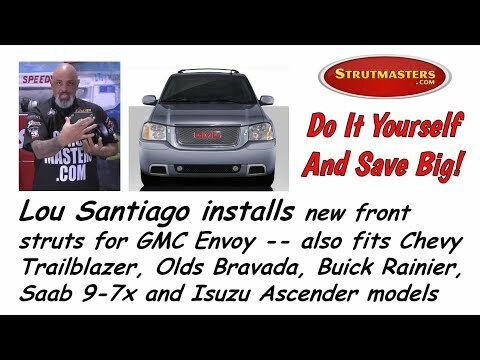 How Do I know If My Envoy XL & XUV Air Suspension is failing? 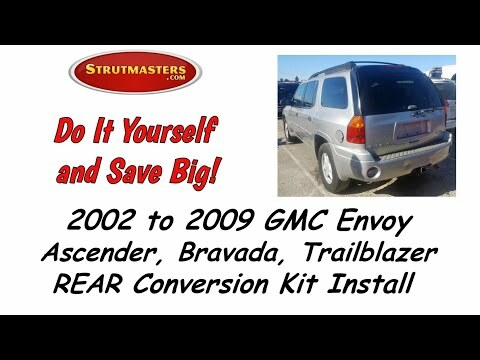 You want to diagnose a failed or leaking air suspension system on your 2002-2006 GMC Envoy before total failure sets in. 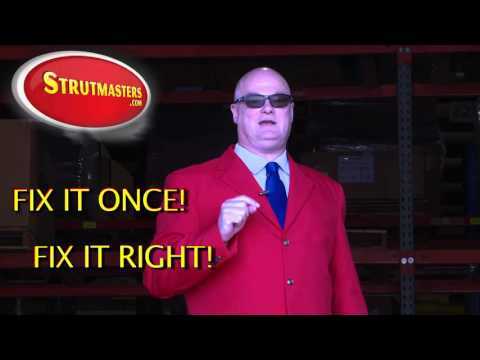 If you wait too long, a bad suspension can wear out all the other major vehicle components. So, the most noticeable sign to look for is a sudden uneven height difference between different sides of the Envoy. Typically there is a sagging front or rear end. The entire Envoy may look like it‚Äôs squatting down from the rear, lower than usual. There might be leaning from one side to the other. Either way, if you think your Envoy is not reaching and maintaining its appropriate ride height then the suspension needs to be fixed immediately. Look for a suspension warning light on the instrument cluster to confirm a bad suspension. If the air compressor has ceased working or is very loud and noisy, then it is running too often. A replacement may be necessary, too. Choosing the four-wheel air-suspension conversion kit for the 2002-2006 GMC Envoy XL & XUV saves YOU over $1,920! 2002-2006 GMC Envoy XL & XUV Suspension Control Module- a computer which is responsible for the operations of the air suspension system and maintaining the vehicle‚Äôs correct ride height.